Not a bird, but a wild cat, larger than a house cat, but generally smaller than a Bobcat. Ocelots have long tails and rounded (Mickey Mouse) ears. They play a valuable role in our South Texas wild lands. They may eat birds but are more likely to focus on rodents, from mice to rabbits, for food. Seriously endangered with their numbers in free fall for the past 100 years, today we see some possible signs of their population stabilizing. The U.S. Fish and Wildlife Service is responsible for ensuring survival of wild Ocelots in United States and their recent population estimates have been around fifty. We believe that the greatest killer of Ocelots in our area is cars. As they cross roads, particularly at night, but also during the day, they are hit and killed. Ocelots are secretive and forage at night in thick brush. Imagine thorny brush so thick that humans cannot crawl through it - that is where Ocelots live. They are found on Laguna Atascosa National Wildlife Refuge and on South Texas ranch land mostly close to the coast. 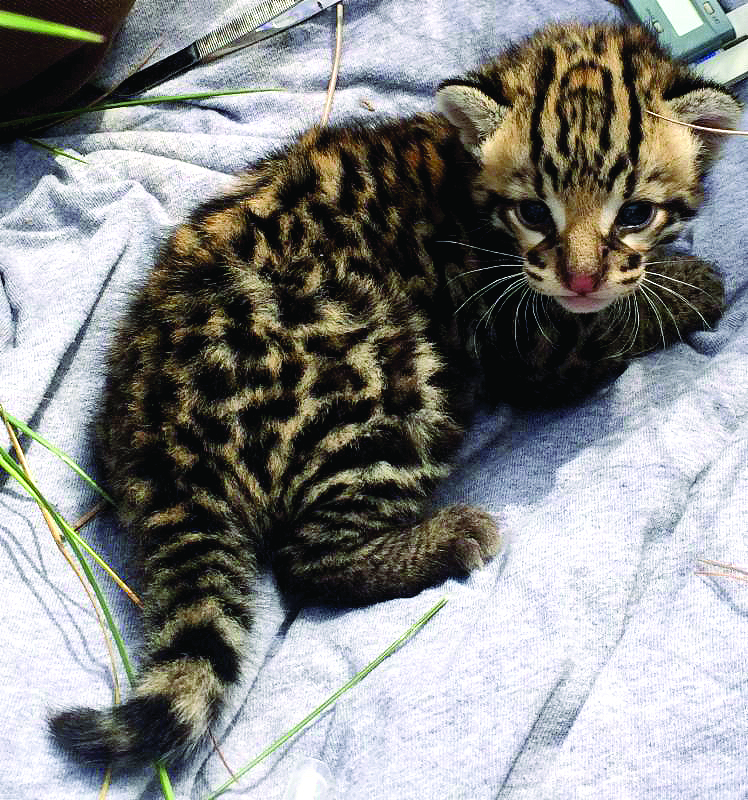 This past year was encouraging for the endangered ocelots of south Texas! Several females with kittens were documented using remote cameras placed in strategic locations where ocelots live and reproduce. "I suspect that the past couple of years of abundant rainfall have made excellent breeding conditions for these endangered wild cats," said Hilary Swarts, wildlife biologist with the US Fish and Wildlife Service (USFWS), stationed at Laguna Atascosa National Wildlife Refuge. Precipitation leads to plant growth, which in turn provides food for the wildlife that ocelots like to eat, such as rodents, rabbits, and birds. "With plenty of food and water, and minimal disturbance from humans, female ocelots have all the resources they need to reproduce successfully," said Swarts. 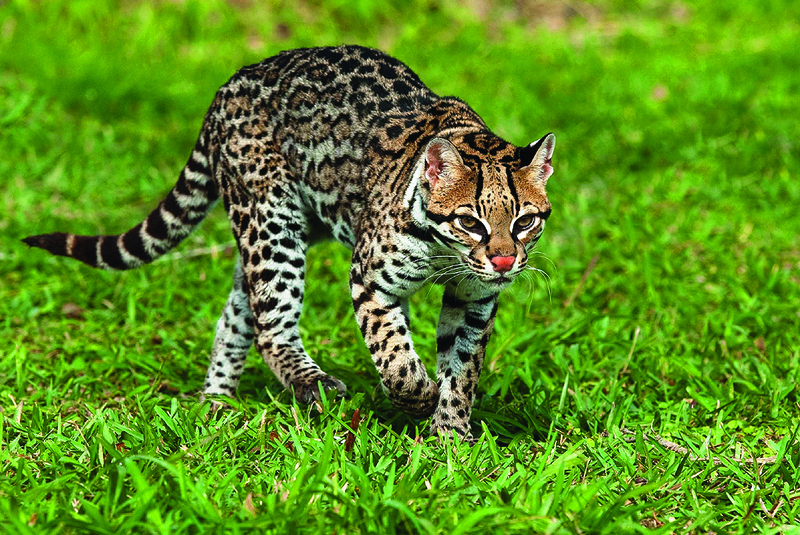 Of the seven known adult female ocelots at Laguna Atascosa National Wildlife Refuge, two are just now reaching the age to reproduce, three have recently been photographed with healthy-looking kittens following close behind, and one adult female has not yet been seen with any offspring. However, the seventh female brought researchers the most exciting discovery of all. Using GPS technology, biologists tracked her movements and discovered the first confirmed ocelot den at the refuge in nearly twenty years. At the den site, researchers rejoiced to find a male ocelot kitten, weighing just shy of a pound, estimated to be three weeks old. The researchers took measurements and photos and left the area as quickly as possible in the interest of minimal disturbance. His mother, approximately 11 years old, was not at the den at the time, but returned soon after. USFWS researchers plan to track the kitten's growth and progress in the coming years. Swarts and other researchers track and monitor ocelots in south Texas, collecting data on their population numbers, health, habitat use, range, and reproduction. These new kittens are now part of this ongoing effort. 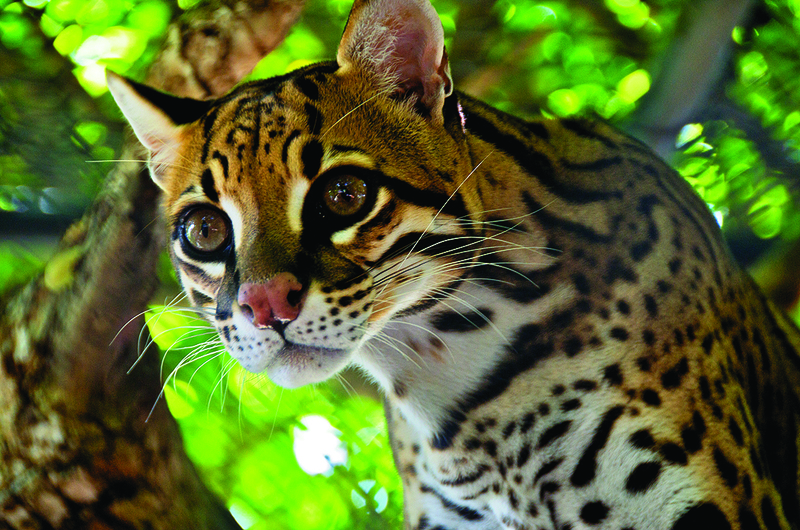 In addition to Laguna Atascosa National Wildlife Refuge, private land plays a vital role in ocelot survival and recovery. Land owners that work with the U.S. Fish and Wildlife Service to protect ocelot habitat on their own property are also seeing camera evidence of new kittens. "Data gathered in Willacy County is further evidence that private ranches are often great havens for wildlife and key partners in our conservation efforts. These private lands will be crucial to protecting habitat and wildlife into the future," said Boyd Blihovde, Refuge Manager at Laguna Atascosa NWR. 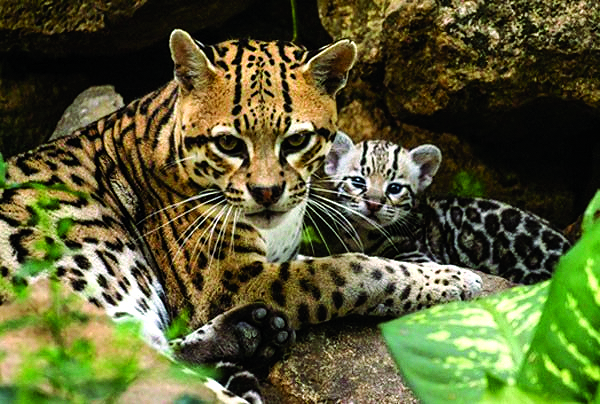 As long as USFWS and its partners continue to work toward reducing threats to ocelots in south Texas and ocelots keep reproducing successfully, there's great hope for the future of these majestic wild cats in the lower Rio Grande Valley!